My Alaska fate was set 17 years ago over a piece of notebook paper on a coffee shop table in Portland, Oregon. My boyfriend at the time had been offered two teaching positions — one in Homer, one in Bethel — and we were moving here together. Sitting next to windows that overlooked the ultra-hip Hawthorne Boulevard, I tried to imagine what life would be like in a state I'd never visited but was planning to make home, at least for a while. The snow, the wilderness, the fresh fish. I couldn't picture much else. We drew a line down the center of the piece of paper — listing pros and cons for each place. As different as Homer and Bethel are, it wasn't an easy decision. I arrived on the Kenai Peninsula with a backpack and no specific long-term plans. I knew only that I wanted to get out there, far, far, out there. Now with two young kids and a house in town, I rarely stray more than a few miles from where I parked the car. Why we live where we live often changes over time. Why we moved to a place in our 20s is likely not the reason we stay in our 40s. Or if we've grown up in a place, perhaps we're itching to escape the repetitive routines of each season. But years later, we may find deep comfort in that continuity. Many of us have no choice about where we live. We're tied to a job or family obligations or perhaps, we live nowhere … or anywhere. 'Tis the season for gratitude and reflection. 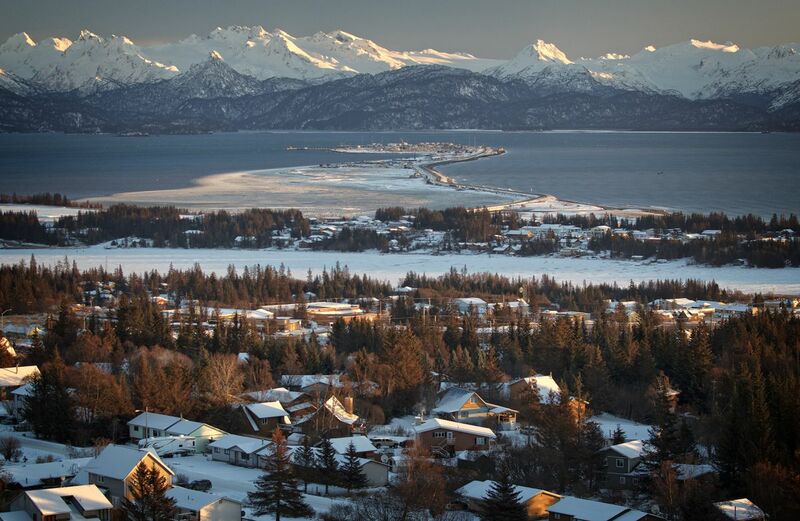 So we asked some of Alaska's most thoughtful writers to consider why they live where they live, hoping it would help the rest of us think about our own places and about this vast, complicated and changing world in which we live. They write about beauty and about community. They write about seal oil and exchanges at the post office. They write about berries and mountains, favors offered and received. Jotting down notes on a piece of blank paper, nearly two decades ago and 1,500 miles from where I would end up moving, I could never comprehend what it would be like to live here. But reading these reflections reminds me of some of the singular aspects of life in Alaska's communities. That the cold can make warmth more valuable. Isolation often makes companionship more precious. And darkness makes light extraordinary. We asked 14 of Alaska's best writers, who are spread across the 49th state — from Tenakee Springs to Dutch Harbor to Utqiagvik (previously known as Barrow) — to grapple with the question we all face in our lives: Why do I live where I live? In a state of 663,000 square miles, with 6,640 miles of coastline and the tallest mountain in North America, the question couldn't be any more pertinent. Read their responses here: Why I live where I live – 14 responses. Freelance writer Miranda Weiss is the author of "Tide, Feather, Snow: A Life in Alaska."